Back Roads and Bicycles: On Pedaling, Anyway. I don’t know how much it’s true about getting back to your roots to find answers. I’m acutely aware of the wealth of metaphors as my Someone and I spend the next couple of weeks in my childhood home, at my childhood cabin, with my childhood family. I’m often coming here ready for something, ready for a solution to the problems that started before I could write about them. This time, I am coming just to try this: being here. Not figuring it out. Just… hanging out. So when we were walking an old road, one grown over and given up on by the county to floods, I was half rolling my eyes as I recounted the summer days I spent pedaling this route. There’s something about nostalgia that makes me a bit skeptical. And also, a little worried to be the one at the party talking about the good old days. But here it was. Me on an old road not far from home, overgrown and talking about the past. The metaphor wasn’t lost on either of us. It was so thick I could practically hear 13-year-old me swishing past, doing everything she could to make it work with the friend she loved. I’m not just being. I’m not just hanging out. Old habits die hard, or you can’t change who you are, or some other saying goes here. 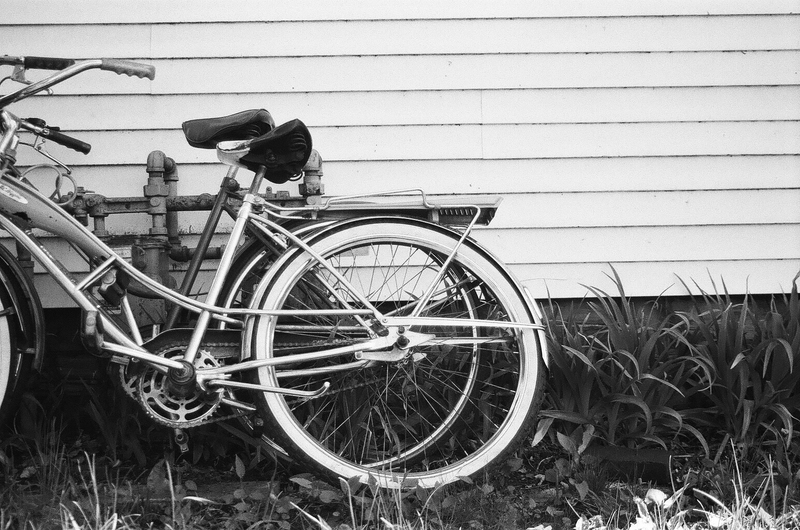 I am pedaling as fast and hard as I can toward the people I love, hoping they are pedaling toward me, too. And maybe, in some twist of miracle, there will be a resting spot in the middle for us to agree on. Here’s a bit of a trick, though. Even if they aren’t heading my way, if I keep pedaling, there’s a chance I’ll still reach them. ← Tick Picks: On Extracting Fear.